A Pastor, CEO and businessman, whose unique, bold style of delivery and leadership inspires and empowers people for success, by applying biblical principles that place a demand on man’s potential hidden within. Born in Tuskegee, Alabama, Dr. Winston was inspired and influenced for leadership by the numerous educators, scientists, and physicians who surrounded him as a youth, and by the historic aviation accomplishments of the Tuskegee Airmen who served as his role models. He is a graduate of the internationally known Tuskegee Institute (now Tuskegee University), in Tuskegee, Alabama, where Booker T. Washington’s and George Washington Carver’s legacies of leadership and invention permeated the environment. Dr. Winston served for six years as a fighter pilot in the United States Air Force, where his extraordinary achievements in aerial flight earned him The Distinguished Flying Cross, The Air Medal for performance in combat, and the Squadron Top Gun Award. After completing his military service at the rank of captain, Dr. Winston joined the IBM Corporation as a marketing representative where his exceptional managerial and relational skills earned him several promotions. Before he resigned in 1985 to enter full-time ministry, he was a regional marketing manager in IBM’s Midwest Region. He is the founder and senior pastor of Living Word Christian Center (LWCC), a multi-cultural, non-denominational church with more than 20,000 members located in Forest Park, Illinois, and Living Word Christian Center-Tuskegee, in Tuskegee, Alabama. LWCC has a broad range of ministries and related entities. Dr. Winston is also the founder and president of the nationally accredited Joseph Business School (JBS), which teaches practical and biblical principles to empower adults to develop indispensable skills as successful entrepreneurs and business leaders. JBS is located in Forest Park, Illinois with partnership locations on five continents. The Joseph Business School also has an online program. He is also the founder of Bill Winston Ministries (BWM), a partnership-based global outreach ministry. BWM produces the Believer’s Walk of Faith television and radio program reaching over 800 million households worldwide. 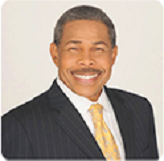 Dr. Winston also has 882 national and international churches and ministries under his spiritual covering through Faith Ministries Alliance (FMA). Dr. Winston’s ministry owns and operates two shopping malls, Forest Park Plaza, in Forest Park, and Washington Plaza in Tuskegee. He is also the founder and CEO of Golden Eagle Aviation, a fixed base operation (FBO) located at the historic Moton Field in Tuskegee. Dr. Winston received his Honorary Doctorate of Humane Letters from Friends International Christian University and has received numerous awards and honors for his leadership in ministry, business and entrepreneurship. He is married to Veronica and is the father of three, Melody, Allegra and David, and the grandfather of eight.